Summer found me spending most of my time on the alley project, but I did managed to get a book review done for the fall 2015 edition of Edible Idaho. Making cheese at home can seem like an impossible task between the hard-to-get ingredients and the labor intensive recipes. 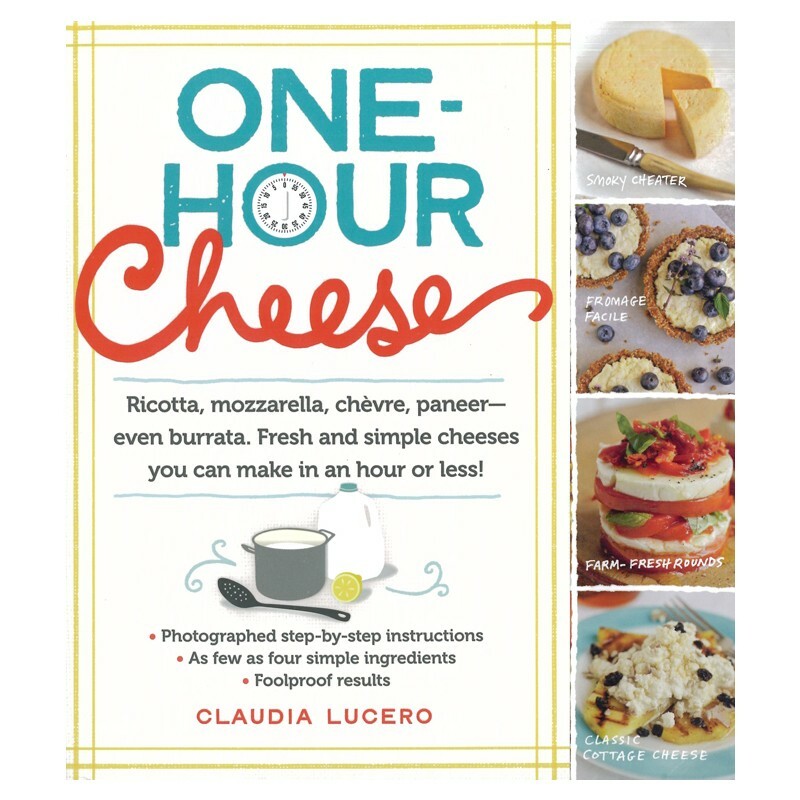 But if that’s what’s been holding you back, you’re going to need a new excuse once you dive into a copy of One Hour Cheese by Claudia Lucero. With recipes labeled as “easy”, “easier”, and “easiest”, and photographs chronicling every step of the way, cheesemaking has never been more approachable. Want to start out slow? Why not try Meyer Lemon Ricotta with it’s “easiest” rating and uses only lemons, whole milk, cream and salt. Once its done celebrate by whipping up a batch of Holy Cannoli Dip – a sweet spread garnished with pistachios and dark chocolate. Love the haloumi, or grilling cheese, that you might have sampled at the farmer’s market? In under an hour, this “easier” recipe is ready and if not gobbled up immediately, try the Grilled Eggplant Rolls serving suggestion. Ready to tackle the hardest of the bunch, reassuringly still “easy” by her definition? The Chipotle Lime Oaxaca is a beautiful braided cheese that takes its color and flavor from chipotle chili powder and is a perfect component in the Cucumber Ribbon Salad. This book is full of beautiful photos, easy tips and tricks and recipes in which to use all the creations. The author even includes her email address as a cheese helpline incase the troubleshooting section doesn’t remedy a problem and a batch isn’t turning out quite as planned. Lucerno is clearly passionate about cheesemaking and it’s an enthusiasm that is definitely deliciously contagious.